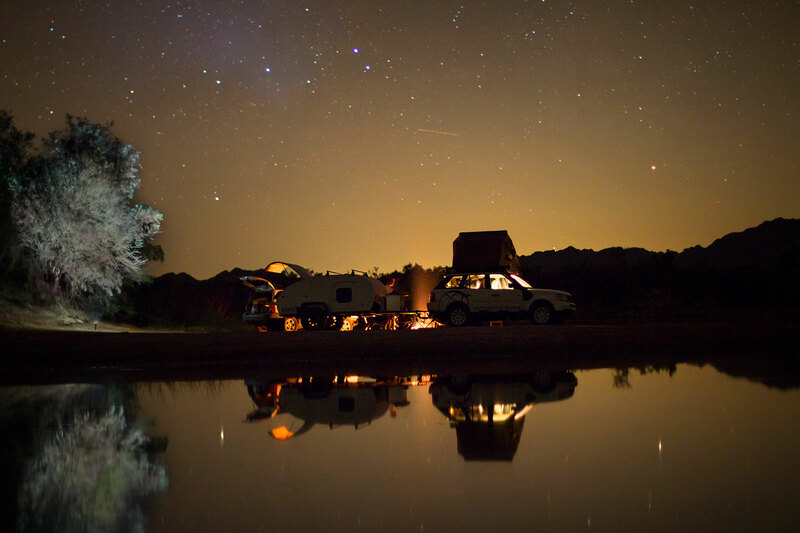 There’s something beautiful, even romantic, about a gleaming teardrop trailer in tow. They are vestiges of the halcyon days of early motor travel when Detroit’s finest thundered across the countryside, the prospect of new adventures around every corner. 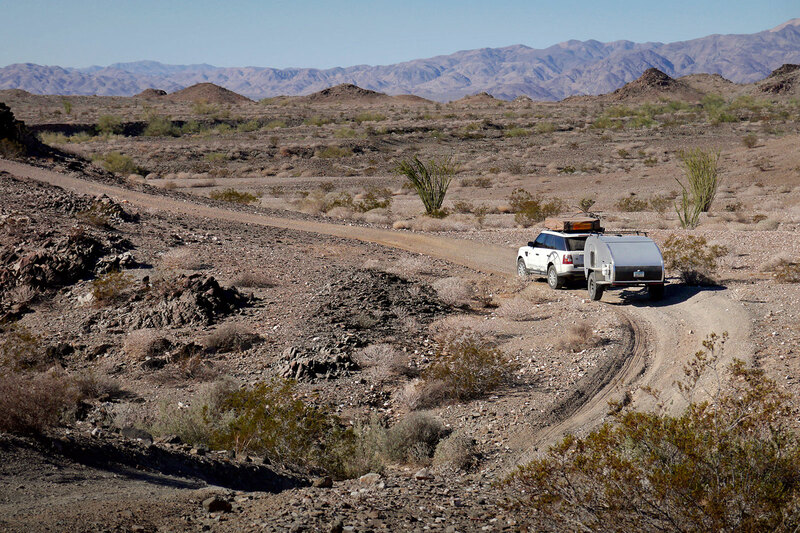 At the height of teardrop travel, the Pan American highway was in it’s infancy and the ALCAN was little more than a rugged ribbon of dirt. Things were good in those years. 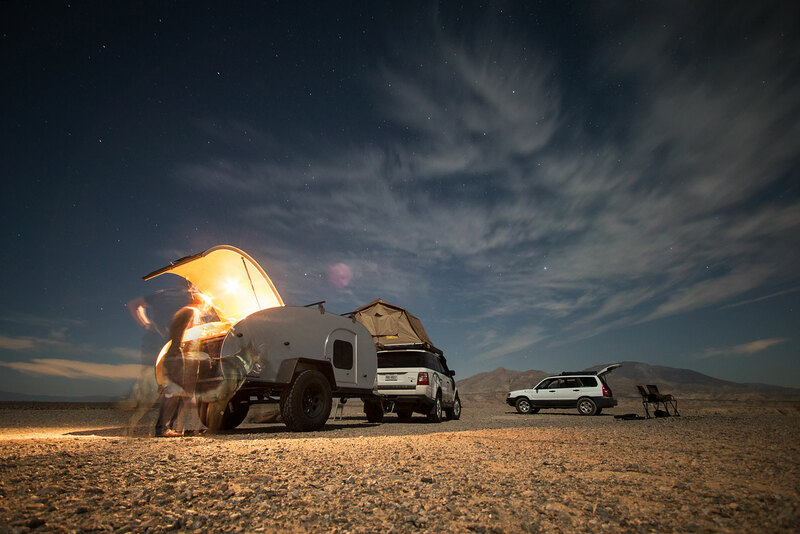 Of course since then the teardrop has fallen out of the hearts and minds of many travelers…until now. 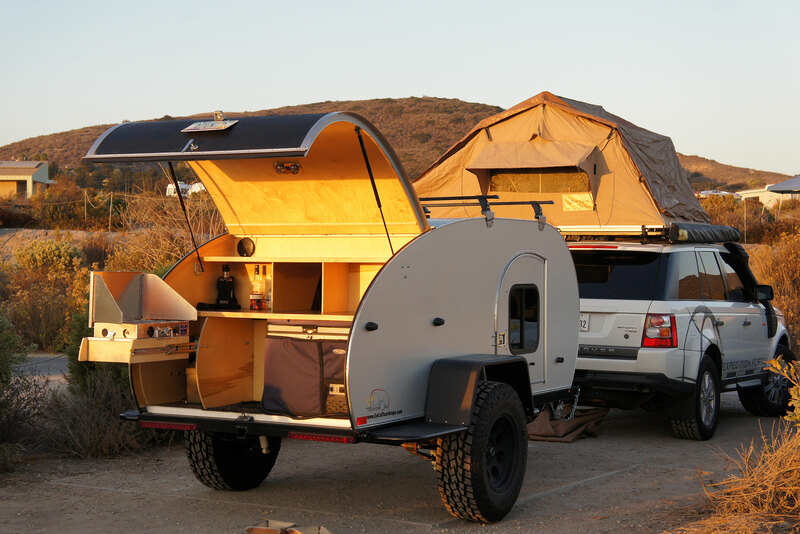 Founded in 2004, this tight-knit company has been bringing teardrop trailers back into the lime-light for over a decade. 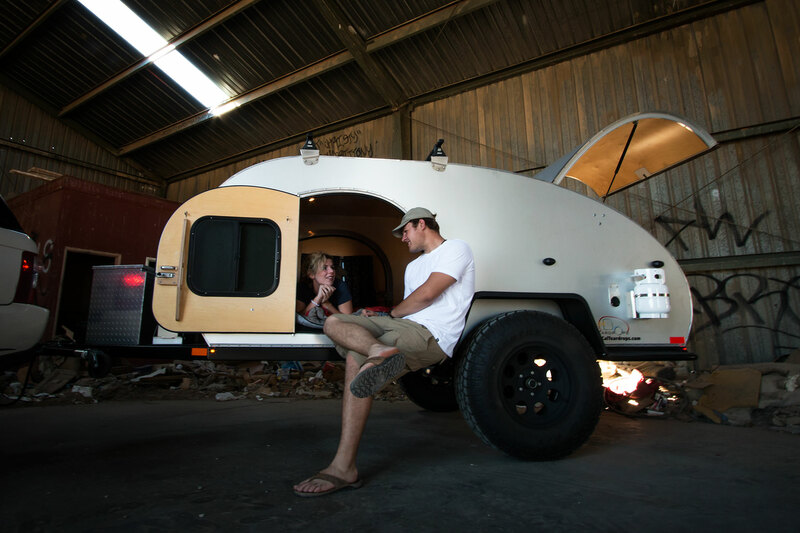 They started as nothing more than a family wanting a better camper, but quickly turned that impetus into a thriving business producing quality hand-built trailers. 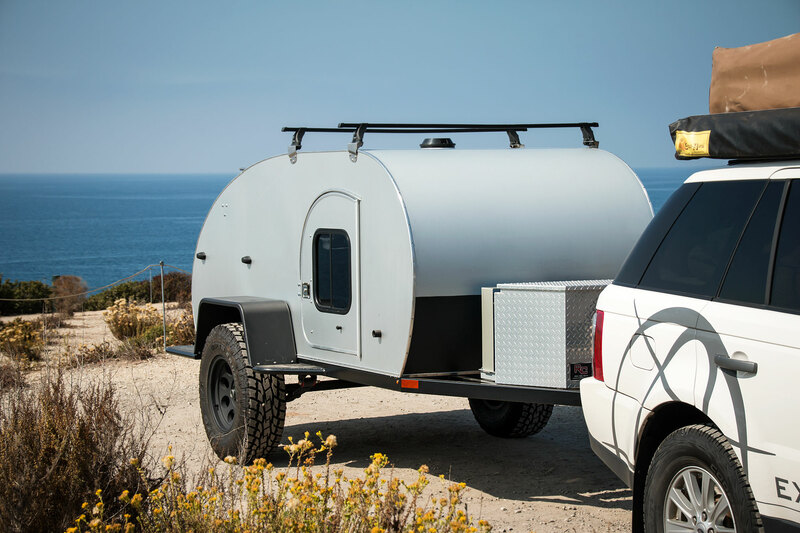 From a road trailer only lineup, the company has adapted into the off-road marketplace with three options, the Buzz-Off, the Krawler 459, and finally our newest addition, the 510 XS. 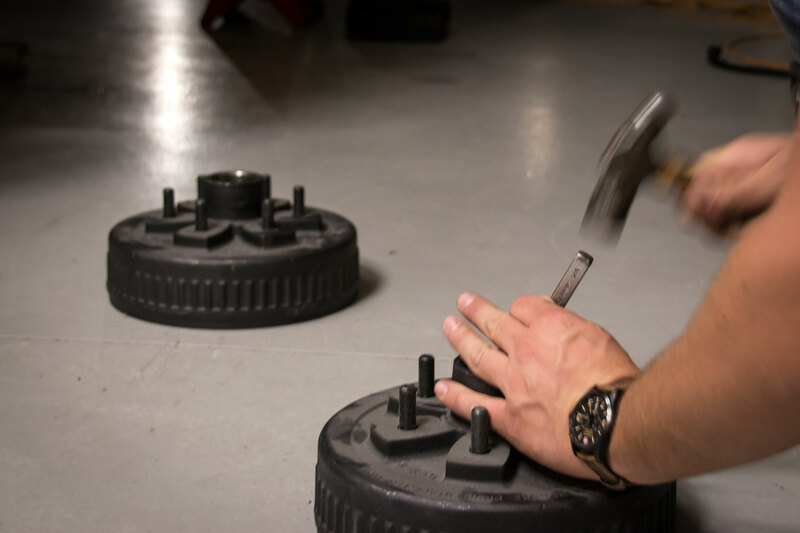 While there is no official gauge to measure this, and it in no way influences the practicality or effectiveness of the platform, we’d be lying if we said looks don’t matter. They do, and when it comes to looks the 510 is a virtual super model. 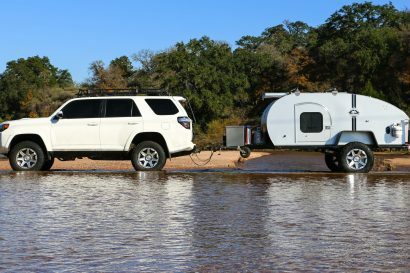 We watched the families towing pop-ups to the local campground drool in envy as we slowly rolled past their suburbans and expeditions. 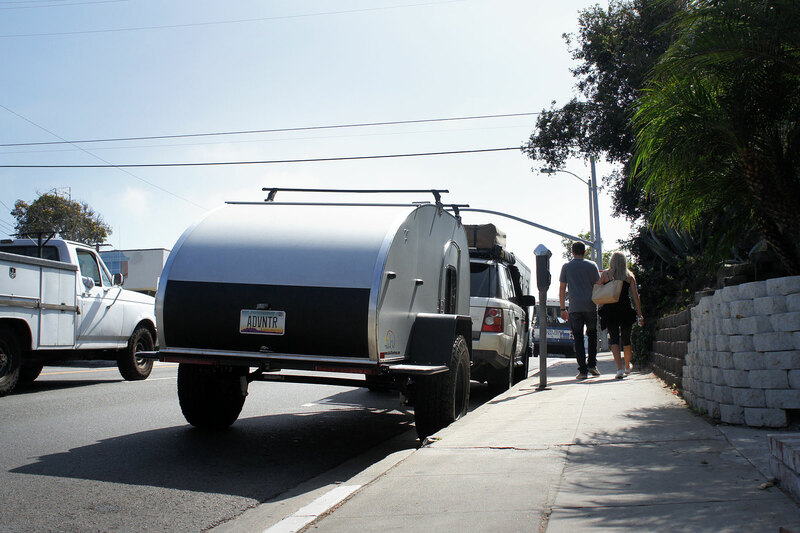 It almost became a sort of sport to count passerby’s who pointed saying look at that, how awesome, or honey we need one. The secondary sport was watching the wives roll their eyes once the husbands said it. 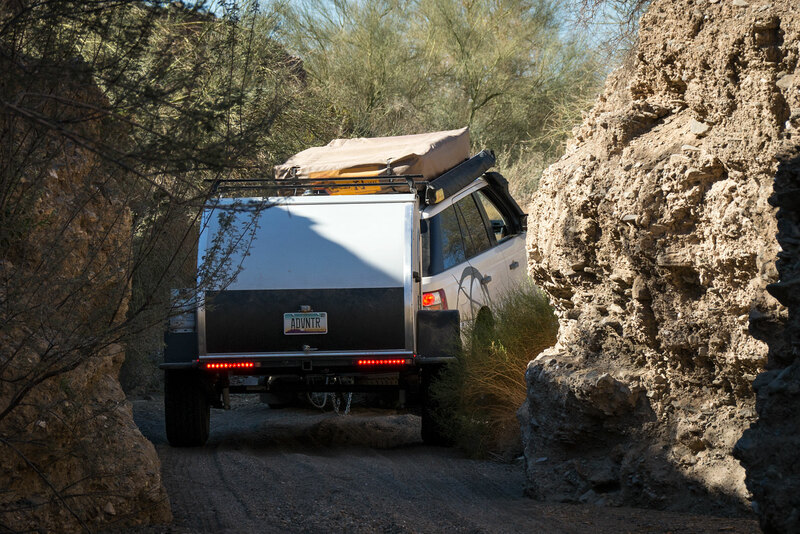 Coming in at an overall length of 175 inches (Just over 14 and a half feet) long, the 510XS is one of the biggest off-road trailers out there, and in my opinion, also one of the baddest. 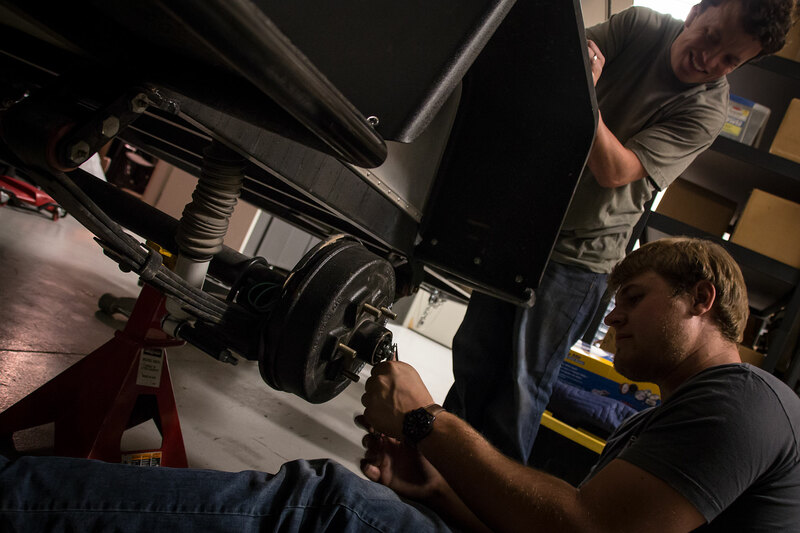 It sits atop a 3500 lb axle with heavy-duty leaf under suspension for big payloads. 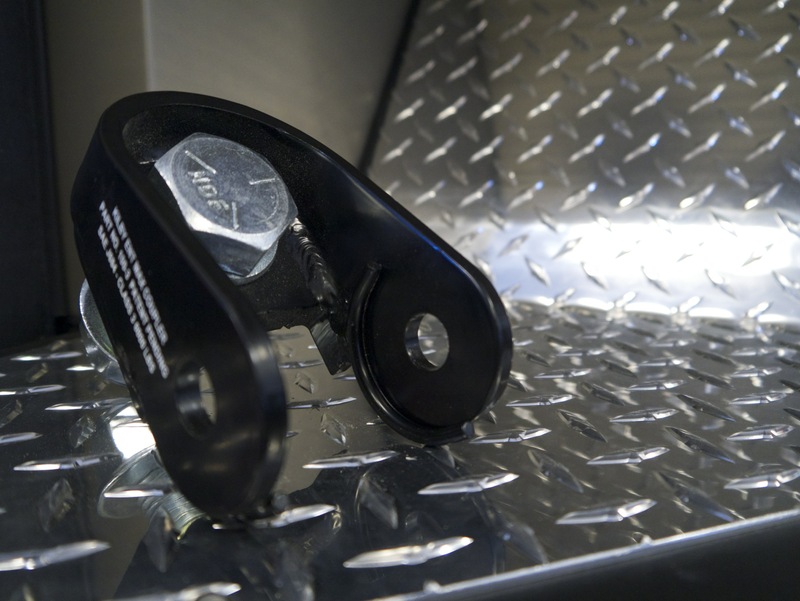 Although the trailer weighs just 1400 lbs, shocks have been added to help dampen the ride even more when loaded. 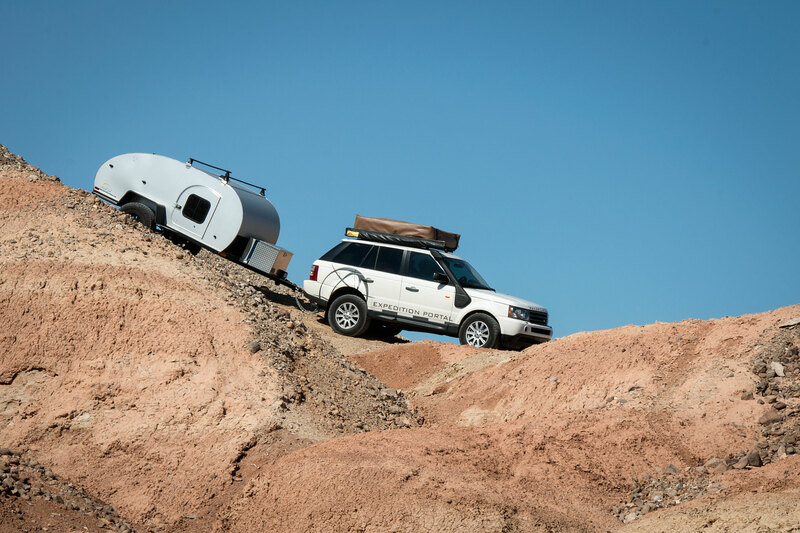 Total ground clearance is just under two feet while on a standard 30″ tire, meaning this trailer is no joke when it comes to trail performance. 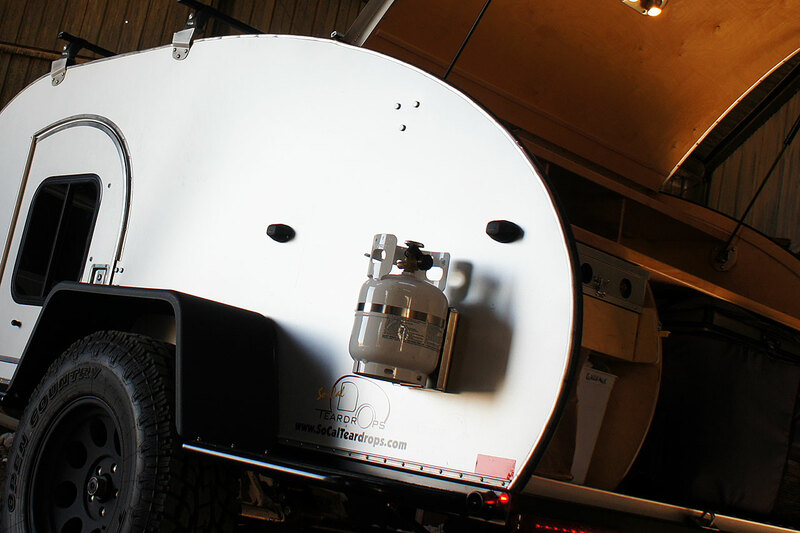 Maneuverability is always a concern on trailers, and although the total width comes to 84 inches, we found it advantageous, providing just enough visibility to ensure you don’t drag a fender on nearby rocks or trees. It was especially handy in box canyons like the one shown below. 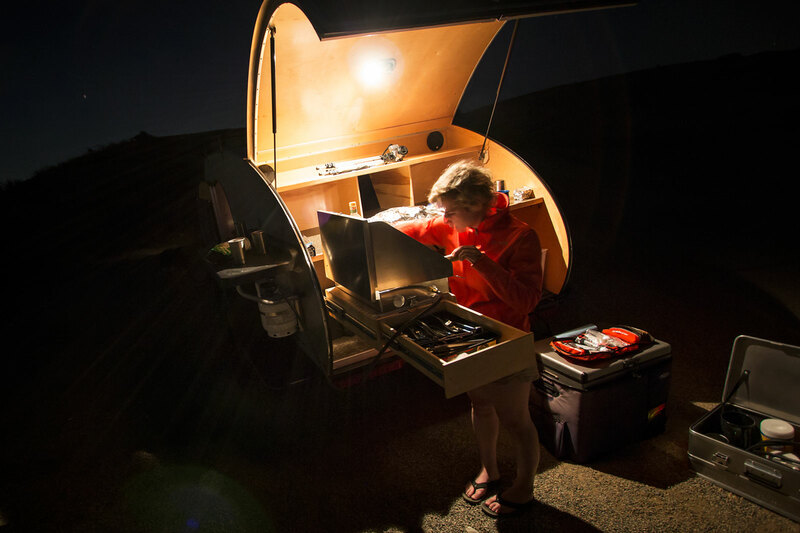 Other features include a rear receiver hitch for recovery points, bike racks, etc, a side mounted propane tank, LED running and brake lights, a Thule table system for food prep or serving, an external power port for charging the trailers battery, slimline paddle latches, two Adventure Trailers can holders, and a rather unattractive tongue box. It’s worth noting that the fenders are attached to the frame and weight bearing. A surprisingly uncommon feature that comes in handy more often than you’d think. 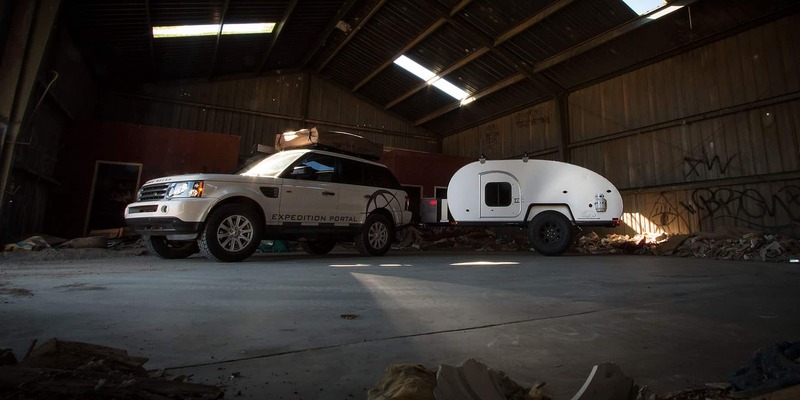 We chose a teardrop over a standard off-road trailer for the same reasons as almost anyone, luxury, comfort, and hard walls. 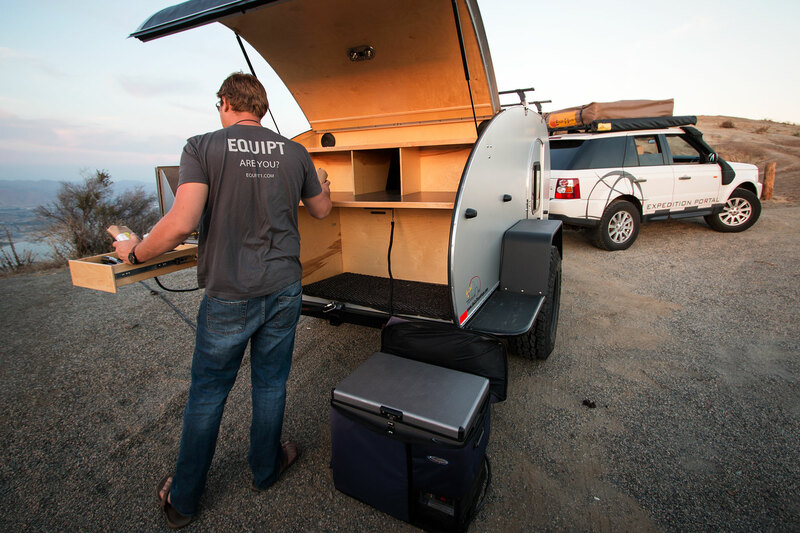 There’s something to be said for having an insulated hard walled trailer to retreat to after a long day on the road. 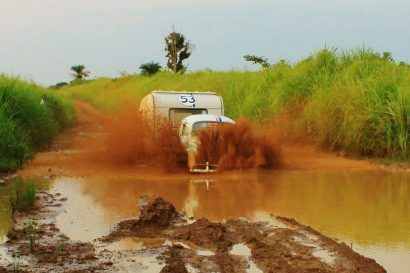 There’s no set-up, no break-down, and no worries of rain, snow, or foul weather in general. It’s your own personal escape. 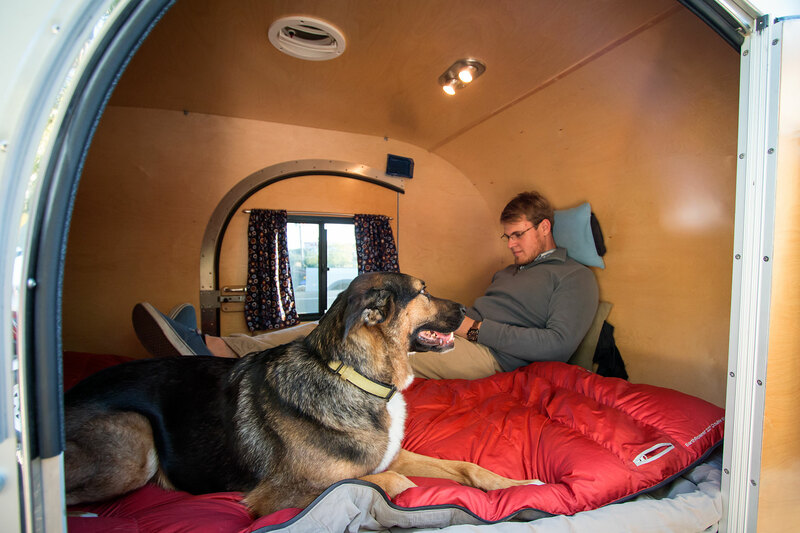 At 88″ long and 59″ wide the bed is more than adequate for just about any size occupant. I’m 6’4″ and as you can see by the image below, have plenty of lounging space. In fact, if you really need more room, there’s storage at the end of the bed for another foot or so of leg room. The mattress is very comfortable and retains an almost memory foam quality without the downsides like hardening when cold. 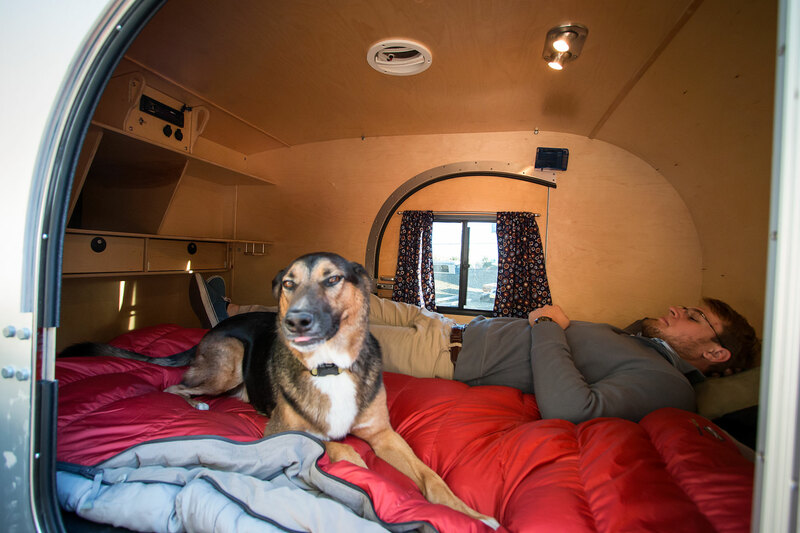 Other interior features include overhead adjustable lights, a close-able vent with electric van to circulate air, two cup holders, cubbies, 12V outlets, shelving, stereo controls, and three drawers. 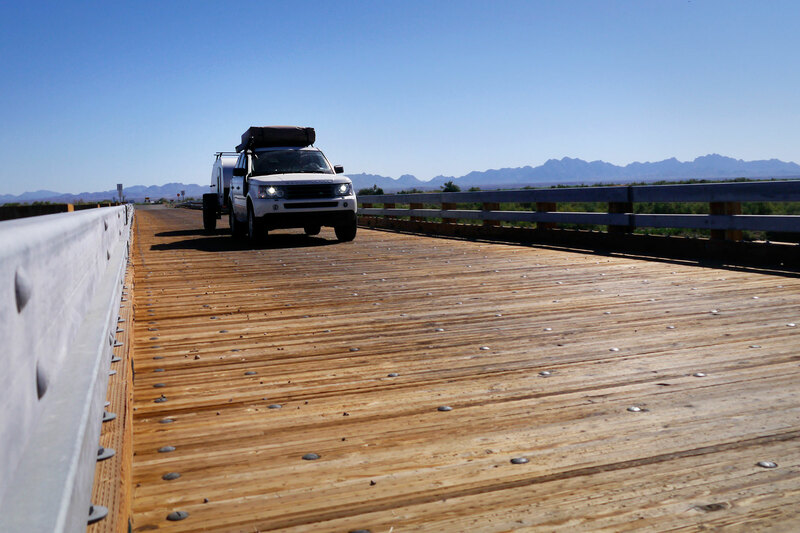 So-Cal even thought of new ways to prevent the entrance of dust under extreme off-road conditions. By adding a double seal system with wood stiffeners, the doors avoid flexing in even the most strenuous of situations. To be entirely honest there is very little I want to change about this section of the interior with one exception… the curtains. Yes that’s right curtains. If you look closely you’ll be able to enjoy the tasteful designs of six year old boy cartoon planets. Marvelous. They didn’t ease off when it came to the kitchen either. 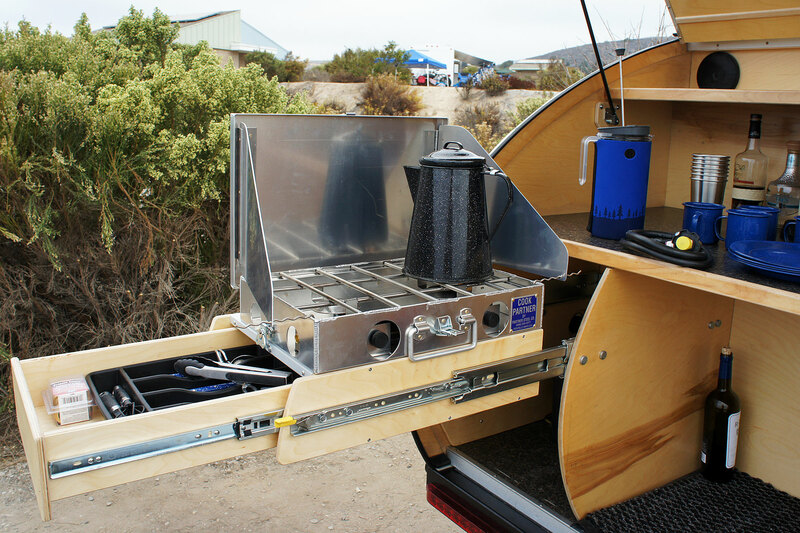 It comes standard with a two burner detachable stove, and a nested utensil drawer on heavy duty slides. 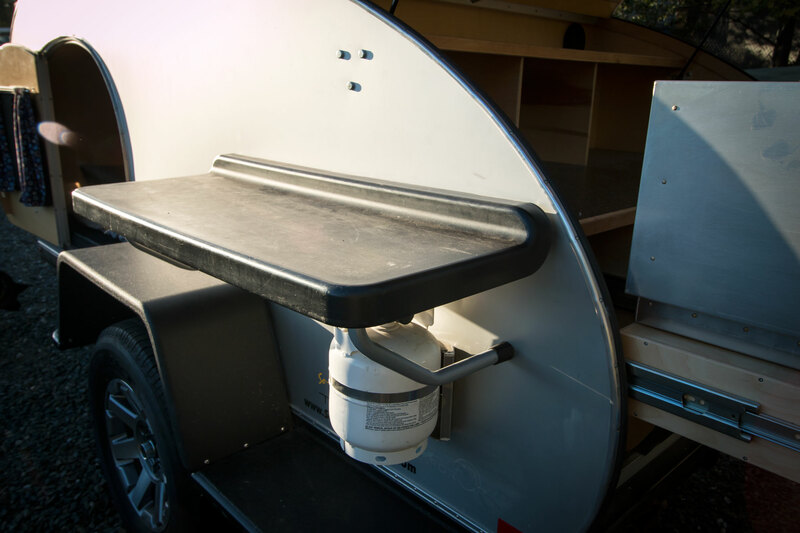 Extra drawers are available for purchase, however our trailer houses its marine grade deep cycle battery just below the drawer along with a trash can for easy access. Counter space is plentiful and there is definitely room for any size fridge you could dream of. 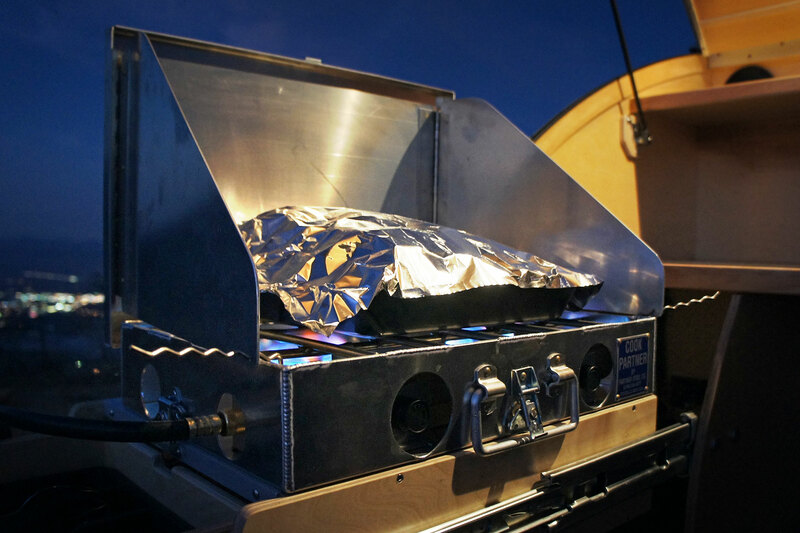 Feel like a good tune while cooking or hanging around the camp fire? No problem. 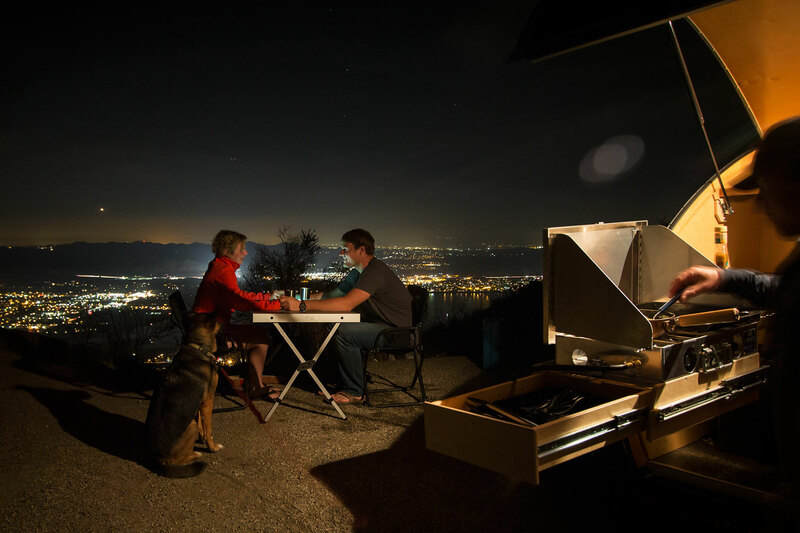 The standard stereo system will give you whatever you need to set the mood of your night. 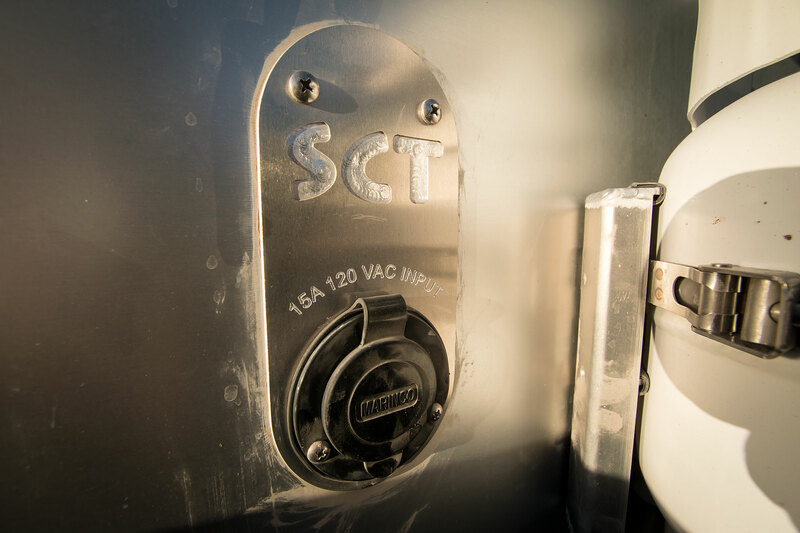 Our unit is an upgraded bluetooth stereo with integrated microphone. It allows us to not only roam about and change songs with our phones, but also to answer calls over the stereo. 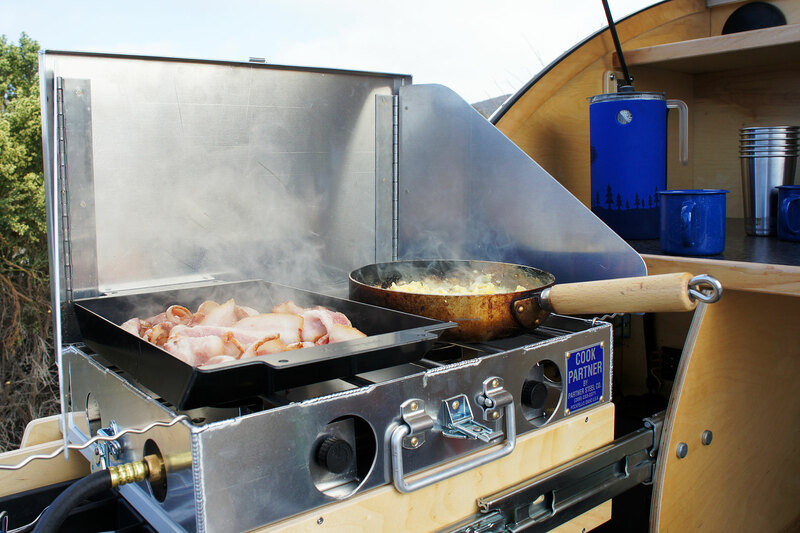 A great feature when you’re trying to keep your salmon from getting too crisp! We chose Frank Sinatra and a view for our fist real dinner test. 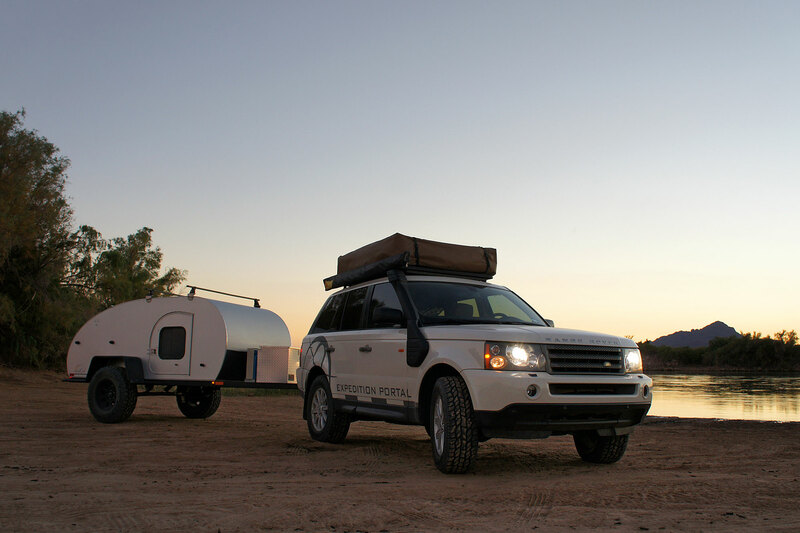 Towing and Performance: So far we’ve taken this trailer down highways at 85 miles per hour, pulled it through tight box canyons with deep sand, and tugged it across technical and rocky terrain in the back country without the slightest hesitation. Thus far I can say I’m very impressed. 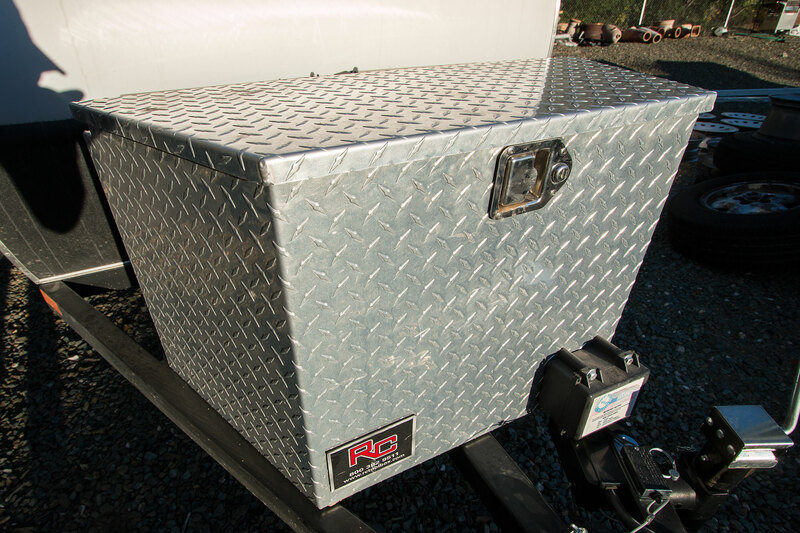 The trailers low weight of 1400 lbs makes it easy to climb hills and manage descents without a brake controller. 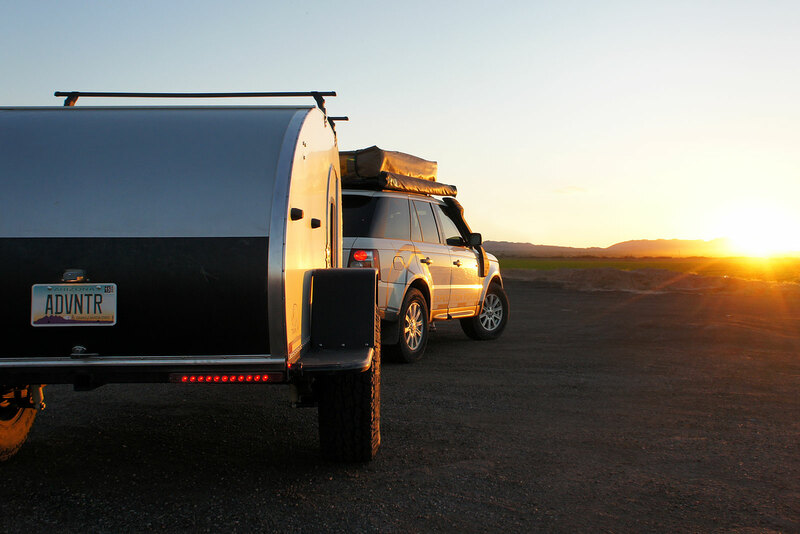 The suspension is smooth and the trailer has yet to bounce or sway excessively even once, regardless of load conditions. 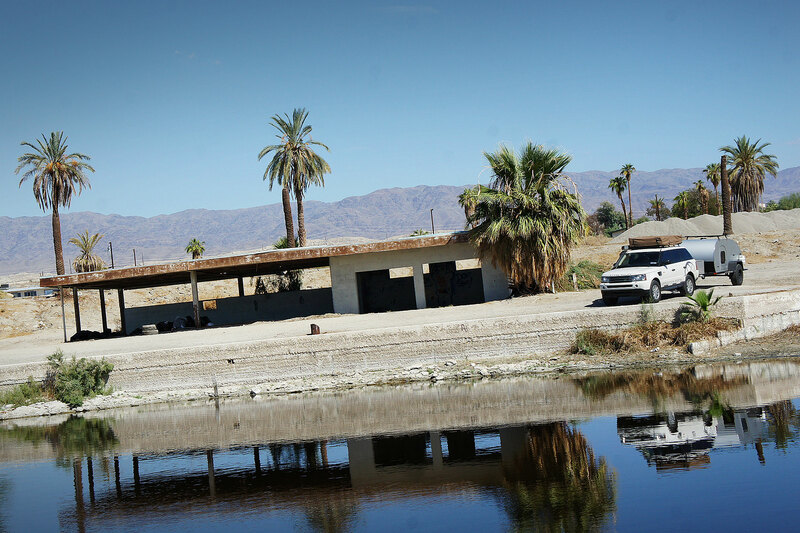 Turning the trailer is fairly easy and tracking is good in every terrain we’ve found. I did manage to stick the truck and trailer into soft sand requiring the use of Maxtrax to get out. During extraction we were forced to drive hard in reverse without letting off the accelerator. When in these tricky conditions the trailer stayed straight without excessive effort on my part. Living Systems and Daily Use: During the short time we’ve had this trailer, it’s been wonderful to say the least. Sleeping is as good if not better than at home, using the kitchen is easy and effective, and the small nuances thought of by So-Cal teardrops in every aspect are evident in the flawless operations of its systems. There are however, things that we’ve learned on our first trip which we hadn’t expected or thought of. 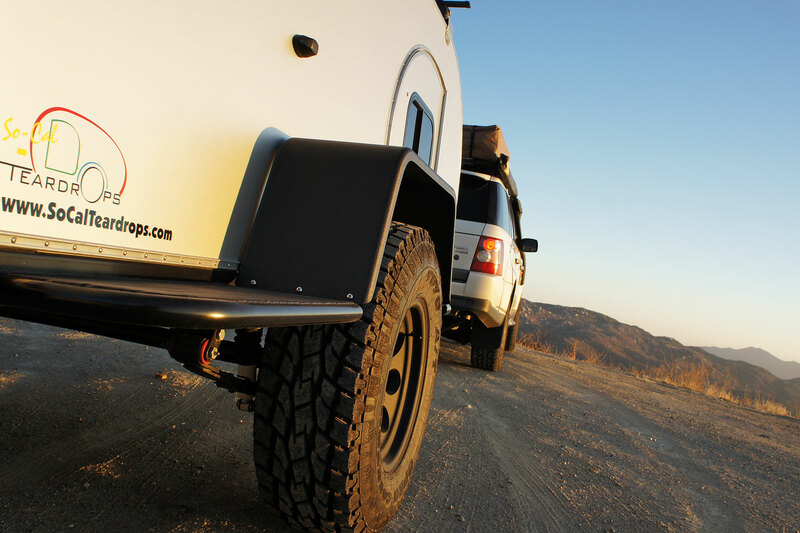 The suspension being soft is great for trail performance, however the slow compression overnight can be a problem when you and your partner both roll to one side. The standard rear jacks solve this issue however. There are plenty of new additions in the works, from electrical upgrades and solar panels, to fridges, slides, and water systems; however, changes are already underway. We started with a new Max Coupler unit to give us optimum trail performance and maneuverability. On a side note for anyone who has used the old units before, the new coupler has a lip which allows you to set the male end onto the female receiver before inserting the pin. 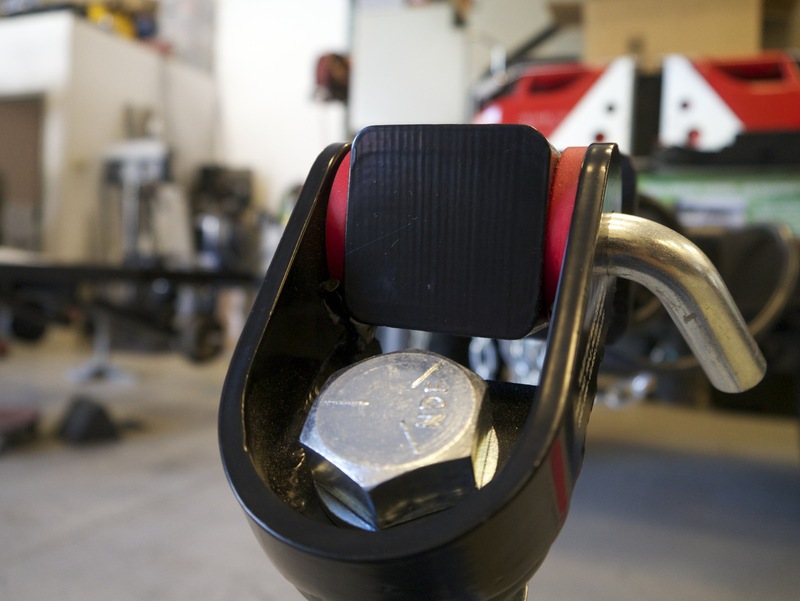 The ability to rest the hitch there instead of holding it up makes the process much easier. 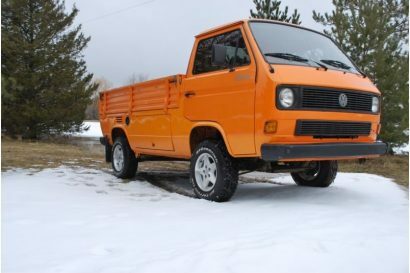 We have also swapped the hubs and wheels to match the trailer’s new tow vehicle. 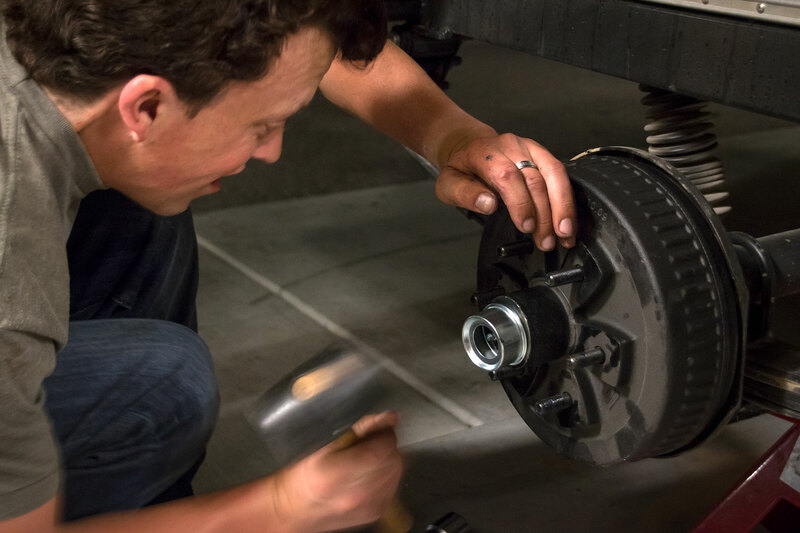 This allows us to not only maintain a common width and performance characteristic, but enables us to interchange spares between the truck and trailer.